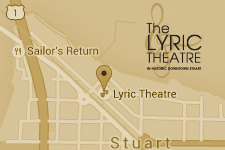 The Lyric Theatre, along with the support of Women Supporting the Arts, is committed to strengthening our commitment to educate and inspire our leaders of tomorrow by providing access to the performing arts through KidTix. Providing access to arts and culture for children is essential to strengthening the power of change, making our community a better place to live, work and play. Children with access to the arts are usually more successful in school, more confident, knowledgeable and well-rounded. Research has also shown impressive benefits for children exposed to arts and culture: student motivation, attitudes, and attendance. Numerous reports discuss the ways that increased access and involvement to the arts encourage students to stay in school, succeed in school, succeed in life, and succeed in work. And yet, despite the impressive benefits of arts and culture, not every child has access to these quality learning experiences. KidTix provides FREE Lyric Theatre tickets to non-profit organizations that serve low-income and/or at-risk youth. Our tickets are very limited, so before you request tickets please ensure you will be able to provide the necessary transportation and chaperones to arrive on time and enjoy the whole experience. Tickets are on a first-come first serve basis. KidTix DOES NOT distribute tickets directly to individuals or families.